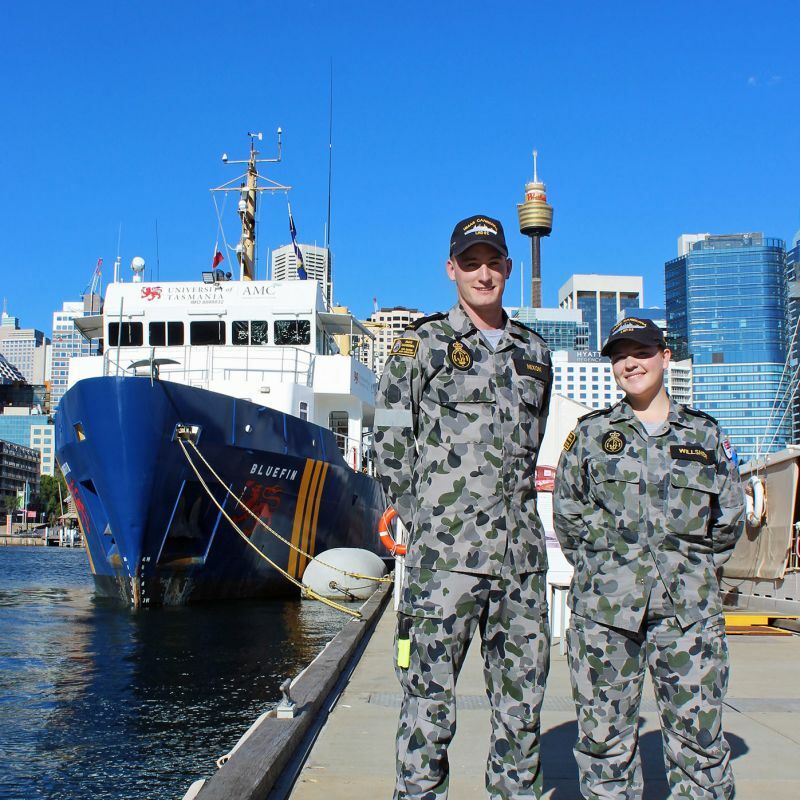 On her recent voyage to Sydney, the Bluefin hosted members of the Royal Australian Navy’s (RAN) Junior Warfare Application Course as they took part in seamanship exercises. Under the guidance of AMC crew and members of the RAN Sea Training Group, the trainees spent 24 hours on board learning seamanship skills important for their professional development. 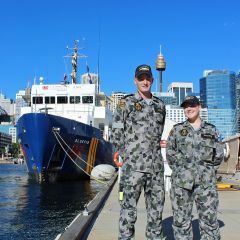 Fleet Seamanship Officer, LCDR Nipperess said the group set sail at 4am, and from there the trainees took up their positions as lookouts, helmsman and officer-of-the-watch. He said it was the first time some members had been at sea. “So they got some of the basics down pat which they’ll need before they join the ship or the ships they’re currently on. I think it was a really great outcome. Sitting in a classroom talking about it is different to actually getting out there and doing it. They performed extremely well,” LCDR Nipperess said. AMC Defence Maritime Program Manager, Aaron Ingram said the RAN-AMC relationship goes back many years to around the mid-80s when AMC got its first ship’s bridge simulator. He co-chairs an education steering group with CDRE Justin Jones, COMTRAIN. Unfortunately, due to bad weather, the voyage was cut short. Nonetheless, MIDN Harry Nixon said his time spent on MV Bluefin was a great experience. “We went through safety briefs, a lot of drills, leaving ships stations, and mustering points and they showed us through the engine bay, which was also good because many ships have many different engine bays and engine room configurations,” he said.